All candidates who selected the Federal University Of Agriculture Abeokuta (Funaab) as their preferred Choice during UTME Registration, should take note that the school management has released the Funaab Cut Off and Post UTME cut off marks for 2019/2020 academic session. For all candidates and applicants of FUNAAB, take note of these updates. We are happy to notify all FUNAAB candidates that the school management board has finally released the cut-off points to will be used for the 2019 POST UTME examination. The Funaab cut off marks for 2019/2020 calculation is simple. If you scored a minimum of 180 in the 2019 JAMB UTME examination, you are qualified and eligible to partake in the FUNAAB POST UTME screening exercise. • All aspirant who are eager to study any course on Medicine or Nursing in Funaab are expected to score at least 220 in JAMB, and 189 in the Funaab Post UTME screening examination. All candidates of FUNAAB seeking for admission into any of the above mentioned courses are expected to score 200 and above in their JAMB Result, and at least 180 in the Funaab Post UTME screening examination. Candidates who selected any of the above mentioned courses during their UTME Registration are expected to score 190 in their JAMB and at least, 180 in the school Post UTME screening examination. You are also expected to make your 0’level result in one sitting. While for other courses which are not mentioned above, but are offered in FUNAAB, aspirants are expected to score at least 180 in their JAMB examination. 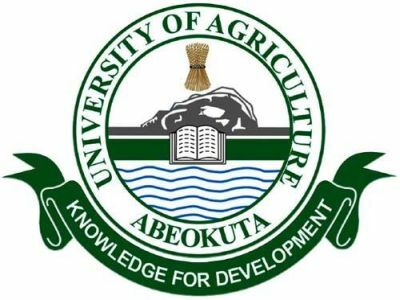 Please take note that the 2019 Federal University Of Agriculture Abeokuta, FUNAAB Post UTME registration form will soon be released. However, when it does, we will surely update this page.